Ending 2018 on an amazing note: It Is Known’s chainmaille was featured on two episodes of NBC’s Midnight, Texas series. 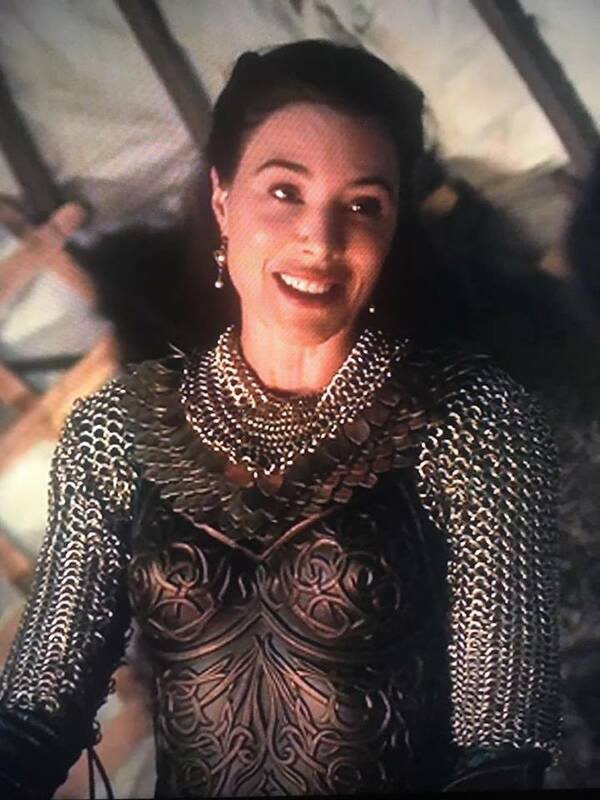 Delilah the “White Witch” wears an It Is Known “D’Arc” scalemaille collar: we created two pieces for costume designer Daniela Moore this summer, and are thrilled to see them in action. You can view S2, Episode 8: “Patience is a Virtue” and S2, Episode 9: “Yasss, Queen” here on NBC’s website and on your local NBC station. Thanks again to Ms. Moore and her team for this commission! In celebration, take 20% off $50+ until January 5, 2019 with secret promo code MIDNIGHTTEX20. Delilah the “White Witch” wears an It Is Known “D’Arc” scalemaille collar on NBC’s “Midnight, Texas",” S2 E8. Delilah the “White Witch” wears an It Is Known “D’Arc” scalemaille collar on NBC’s “Midnight, Texas",” S2 E89.